This basic sweet-and-savory dry rub works really well on pork ribs and combines three types of peppers—black, white, and red—for a delicious flavor experience. A rub, either wet or dry, is meant to be used on meats that will be slowly cooked or barbecued, either indirectly on a grill or in an oven. This is because the sugar in the rub would burn on a high-heat grill (typically used for steaks that are seasoned simply with salt and pepper) before the meat is cooked leaving you with a blackened lump of raw meat. The paprika and cayenne pepper in the rub are what will give the meat the color the sugar caramelization otherwise would create. Remember to use low-heat cooking methods when using a rub for a perfect outcome every time. This recipe will make 2 cups of rub, much more than you will need for a single meal. But, it's great to have on hand for the next time. Store it in a sealed container for up to 6 months in a cool, dark place (definitely not the refrigerator). In a small bowl, combine the dark-brown sugar, paprika, salt, black pepper, white pepper, garlic powder, onion powder, and cayenne pepper until well mixed. To use, apply rub evenly over ribs. The general rule is what sticks is the perfect amount. Cook as directed in your recipe. Discard any rub that has come into contact with raw meat. Store any leftover rub that has not come into contact with raw meat by transferring it to a container with a lid. Store in a cool, dark place for up to 6 months. 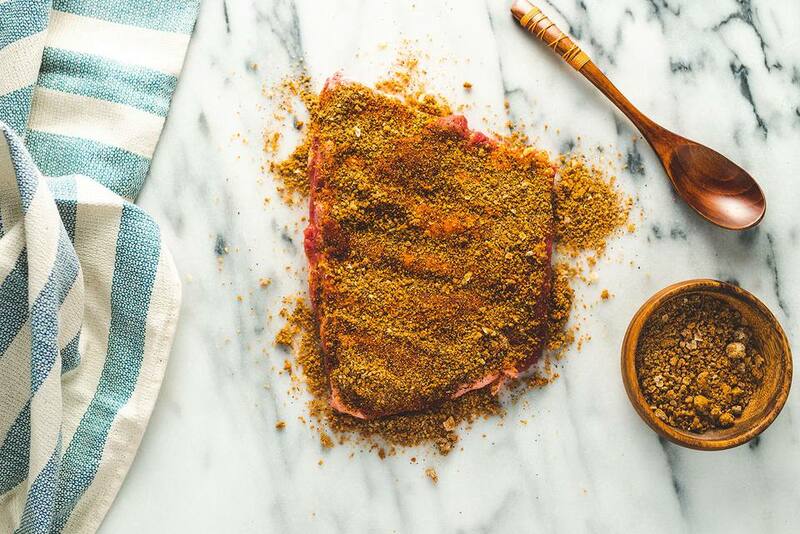 Even though this rub recipe is billed as a sparerib rub, it really can be used on any meat, poultry, or even fish that is slow cooked. Ribs cooked on the smoker is a natural application for this rub because smoker cooking calls for low, indirect heat. It also will work on ribs cooked on a charcoal grill using indirect heat, not the high, intense heat you would use for grilling steaks. Oven cooking the ribs is another time when a dry rub is appropriate.